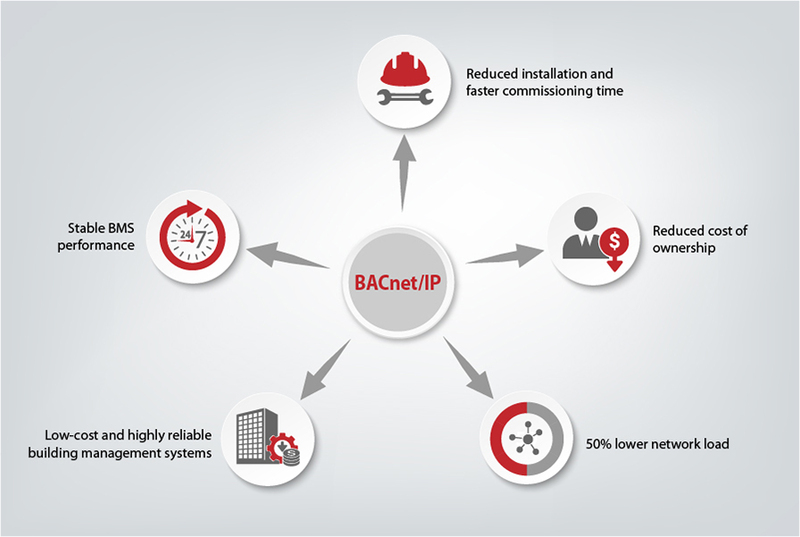 The BACnet/IP, which is ideal for building automation and control networks, allows stadium operators to achieve 50% lower network load for their HVAC facilities, compared to conventional systems. Using VLT® HVAC Drives with BACnet/IP also ensures reduced installation time, faster commissioning time, and optimal stability in BMS performance. In Slovakia, the 19,000-seat City Arena forms part of a demanding multi-purpose building that also incorporates restaurants, offices, cinemas and a shopping mall enjoyed by 16,000 visitors daily. City Arena is the most modern football stadium in Slovakia. It meets the high standards of UEFA and FIFA and is recognized as ‘Building of the Year’ by the Slovak Chamber of Civil Engineers. All HVAC operations for the complex are integrated into a single, state-of-the-art BMS. It controls all aspects of operations, from ventilation to under-pitch heating, via a BACnet/IP network with about 10,000 data points. Heating, ventilation and cooling interact as effectively as possible, and only operate when needed, to maintain optimum energy efficiency. The BMS manages the energy sourced from heat pumps and district heating to supply demand-led heating and cooling throughout the complex to suit the time of year. In Qatar, the 15,300-seat Lusail Stadium in the nation’s capital Doha is another exceptional sports arena operating Danfoss VLT® HVAC Drive units with BACnet/IP. This multi-purpose indoor sports hall is a landmark project and forms part of the sporting event infrastructure of Qatar. It is one of the first of the upcoming stadiums being built for the world handball championships. For both facilities, the VLT® BACnet/IP MCA 125 option brings enhanced functionality to the VLT® HVAC Drive to reduce overall cost of ownership. The option allows quick and easy integration of the VLT® HVAC Drive into each BMS using the BACnet/IP protocol or by running BACnet on Ethernet. It can read and share data points and transfer actual and requested values to and from the systems. The VLT® HVAC Drive facilitates daisy-chain configuration with no need for external switches. It achieves this via the embedded managed switch with two external ports. this switch allows the use of a line structure for the Ethernet cabling and ring structure such as RTSP (Rapid Tree Spanning Protocol). These structures remove networking components from the installation which decreases costs and limits faults. The VLT® BACnet/IP MCA 125 also enables control of multiple high-efficiency permanent magnet motors in parallel. Besides standard functionality, the VLT® HVAC Drive with BACnet/IP offers faster access to data, and low loading of the BMS, enabling the use of a smaller overall BMS. You can read more about the VLT® HVAC Drive here. And, if you have any questions about BACnet/IP, or how drives can help to provide highly reliable and low-cost building management systems, don’t hesitate to put a comment in the box below. We’re here to help. Great, well written article. Thanks.